The Edelrid Beast is made of high-grade steel for steep ice and mixed climbing. They fit boots with front and back or back only welts and have interchangeable front points that can also be adjusted to mono configuration. Short points are more stable for mixed and ice climbing. 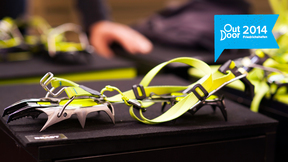 Watch EpicTV Gear Geek First Look Edelrid Beast Review from Outdoor 2014. An expert panel of judges reviewed 361 products, 35 were selected to receive an OutDoor Industry Award 2014. The Edelrid Beast was one. 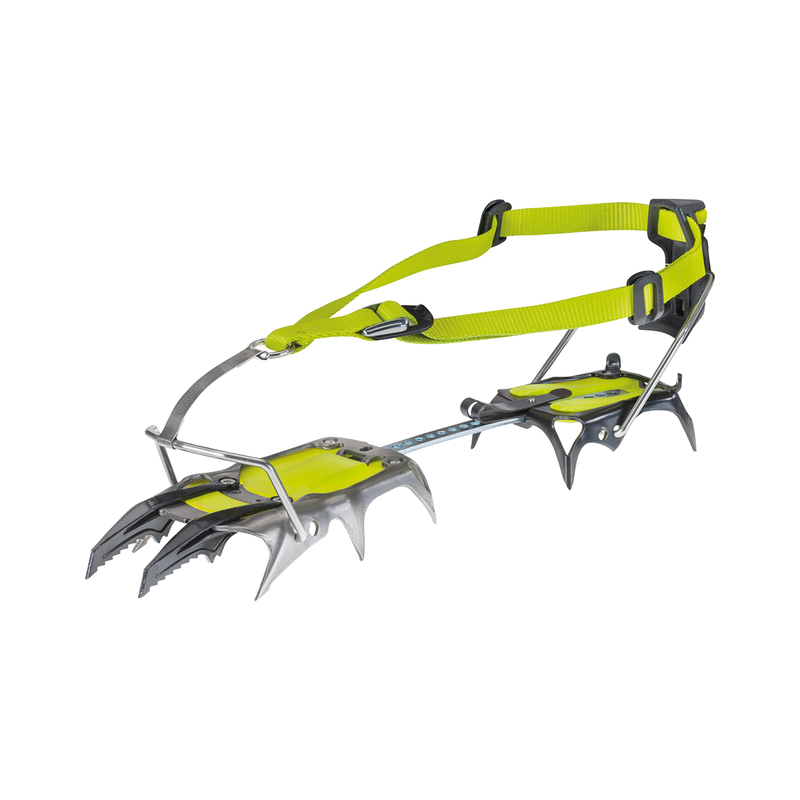 I love these crampons, the mere fast that they adjust from dual front points to a mono point is the main reason I got these, if you are not sure how soft/hard the ice is going to be it means you don't need to either take a gamble on one pair to save weight or have to lug two pairs to suit the ice. You can easily with a simple hex key swap them between mono and dual. An extremely durable product too. Great looking, light and durable crampons. Have used them on technical boots on ice, snow as well as rocks - no problems so far. Very satisfied. Well worth the money.